Wall Street shares plunged to their lowest level in weeks on Monday in a wide sell-off led by technology firms. Intel was among the biggest losers, after a report that Apple plans to stop using Intel chips for its computers. 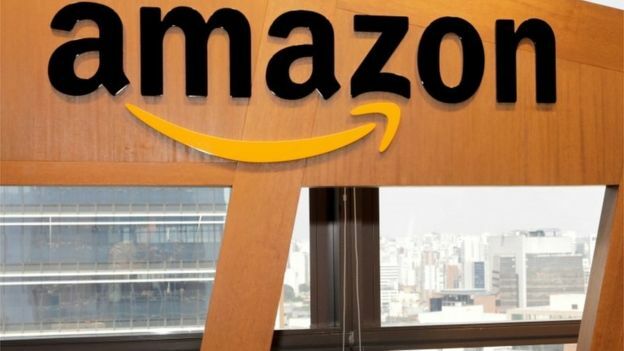 E-commerce giant Amazon also slid by more than 5%, after new attacks from US President Donald Trump. The falls extended recent declines triggered by increased debate in the US about competition and privacy rules, as well as tensions over trade. The S&P 500 fell 59 points or 2.2% to 2,581.9, while the Dow fell 458.9 points or 1.9% to 23,644.19. Technology companies saw some of the steepest declines on Monday, but the falls touched every sector of the S&P 500. The S&P and the Nasdaq indexes ended the day having given up most of the gains made since a steep sell-off in February, while the Dow closed at its lowest level since November. Analysts said the declines in recent weeks have been triggered by uncertainties over many aspects of the economy, including borrowing costs, trade tensions, debate about data regulations, and driverless car technology. On Monday, China imposed new taxes of up to 25% on 128 US imports worth $3bn, including pork, fruit, nuts and wine, in retaliation for steel and aluminium tariffs the US announced last month. US technology companies with large operations in China could be exposed to retaliation if the dispute escalates. But for firms like Facebook, which ended 2.75% lower and is blocked in China, fears of increased regulation are triggering many of the declines, said Sucharita Kodali, a retail analyst for Forrester Research who tracks Amazon and other companies. Ms Kodali said she thinks some of the panic is overblown, since any changes will take time to be implemented. “It’s just so speculative,” she said. Monday’s declines come amid weeks of choppy market trading, which have unsettled investors after last year’s the steady upward climb. The volatility has sparked selling as people cash in on last year’s gains and look for new, safe investments. In some cases, investors had specific reasons to dump stocks on Monday. Bloomberg reported that Apple is developing its own chips to use in its computers, with the transition planned as soon as 2020. The report sent Intel shares down more than 6%. Tesla shares also fell by more than 5%, after the firm was rebuked by US safety regulators for sharing information about a recent crash. Investors are also worried about the company’s finances, as it spends heavily to ramp up car production.